Photo Courtesy of The U.S. Coast Guard. 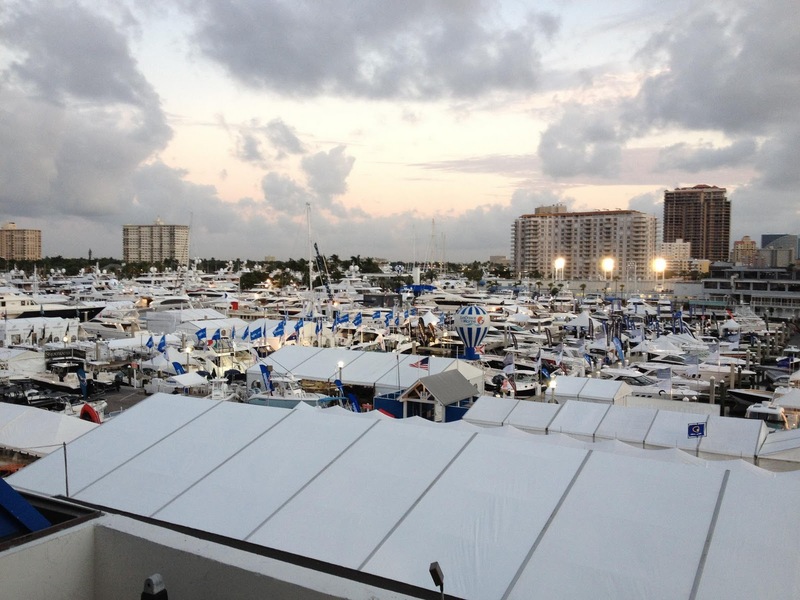 Ft Lauderdale Boat Show Begins Now! 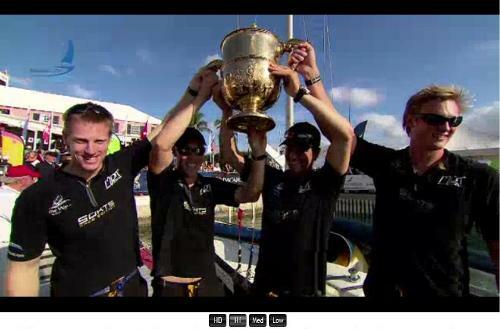 Every Thursday we tell you about all the weekend's boat shows and nautical events, but this weekend is special. Not just because it's Halloween weekend, but because one of the largest and most influential boat shows of the year has just kicked off in Fort Lauderdale, Florida. It happens on or around the last weekend of every October. 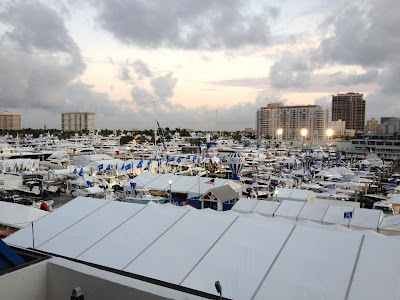 Today we're taking a look at the Fort Lauderdale International Boat Show as well as the other nautical events going on this weekend, including China and Texas. I believe there’s a bit of overhype on what safety gear makes a sailor safe and keeps him or her aboard the boat. If you are anything like me, the first vision to flash in your mind would be the personal flotation device (PFD). Before you even leave the dock there is one thing you can do above all others that will help keep you and your crew safe – develop the “Sailor’s Mindset”. Step aboard a boat, and you might as well step aboard the planet Mars. After all, we are land creatures. Rolling, pitching, yawing, and other boat motions can feel as foreign as a “Martian” language to most of us. Whether it’s rising from a cockpit seat or stepping down a companionway ladder for a cup o' jo--keep in mind that you are NOT on terra firma. You must use different muscles to balance and move. And your entire mindset too, must change to meet this new environment. Sailors have learned the secret of this unique mindset for hundreds of years. 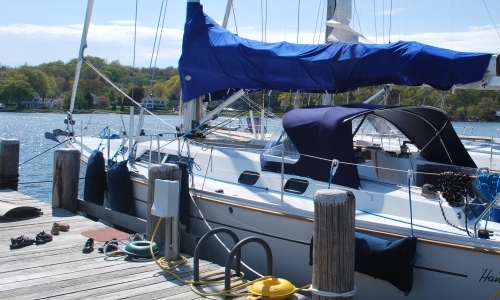 And most did it without PFDs, harnesses, or the other high tech sailing gear now available. Sure, the stories of missing or lost crew over the side make the news. But that’s a tiny blip on the radar-screen compared to the number of injuries sustained by boaters that slipped, tripped, slid, fell, twisted, sprained, or broke something. Or, those sailors who got bonked by a boom. So what can you do to help prevent injury to your crew? 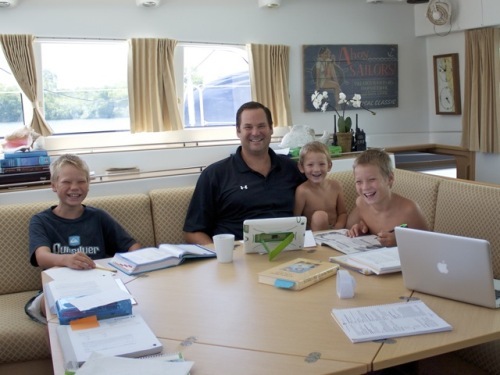 Scott Leonard, "The Mobile CEO", onboard his boat (his home for the next three years) with his kids. It looked as if Scott Leonard had a pretty good life - he started (and continues to run) a successful financial services firm that works exclusively with high-wealth clients; he has also taught finance courses, and has provided financial commentary on media outlets that include the LA Times, NBC Nightly News, and NPR's Market Watch. He lived in California with his wife and three children, enjoying sailing and surfing in his spare time; but seriously... did he really have any "spare" time? Scott realized that he wanted to be able to spend more quality time with his family in the present rather than waiting until after he retired. He also had a lifetime dream of sailing around the world. 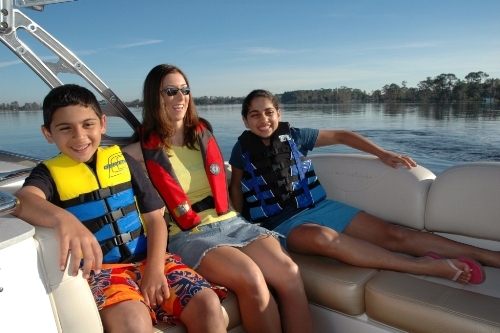 Is boating safer with less boaters on the water? Photo Courtesy of The U.S. Coast Guard. 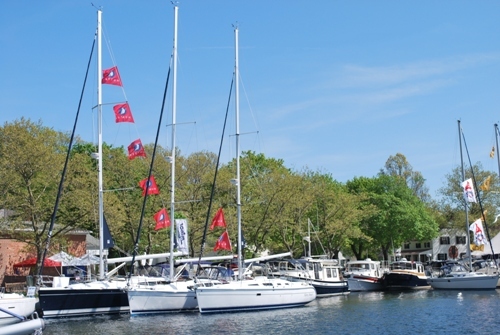 Each Thursday we tell you about all the weekend's boat shows and nautical events so that if you can't get out on the water, at least you can still be around boats. 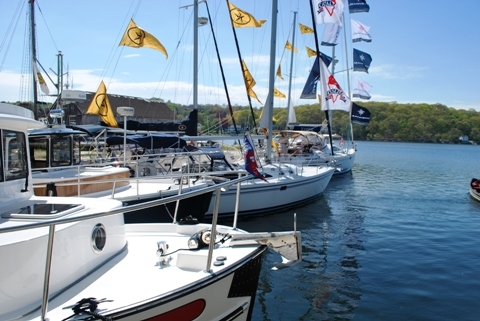 There's nothing like a boat show in Fall, and this weekend's events include several international boat shows, as well as nautical events on each coast of the United States, specifically in Beantown and southern California. This 30 Second Marine Safety Skill Could Save Your Life! What's the first thing you should throw to someone when they go overboard? 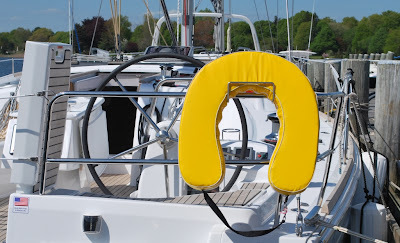 What’s the number one piece of marine safety sailing gear you should toss to a person who has fallen overboard? Life ring? 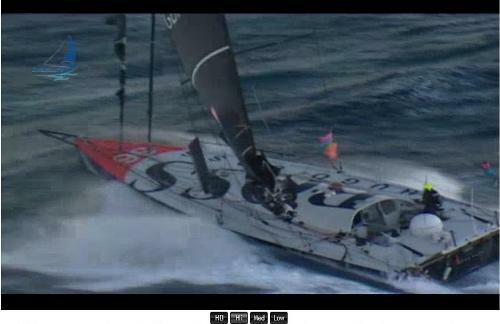 Man overboard pole? Flotation cushion? Nope - none of those. 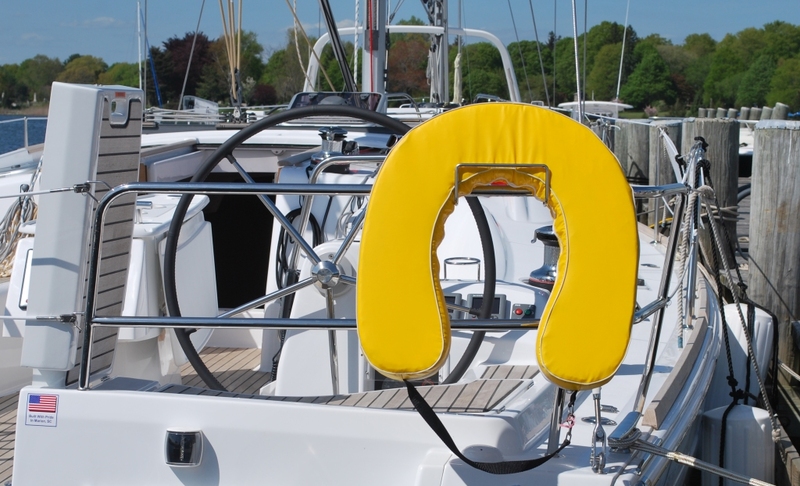 Just one piece of equipment aboard your boat will keep that person afloat in cold water or warm. A wearable personal flotation device (PFD). Why? Thursday. Four people were rescued from the boat. U.S.C.G. Photo. 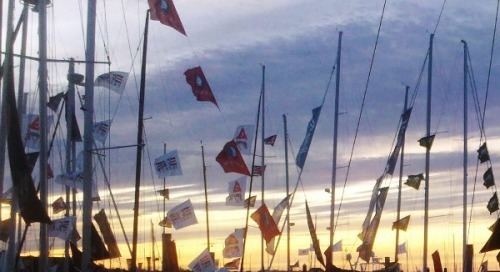 Every week we tell you about all the weekend's boat shows and nautical events so that if you can't get out on the water, at least you can still be around boats. This weekend's shows are big and international, and can be found on the east coast of the United States, as well as in Europe and South America. Shoes, lines, wires, rails, fenders and a little weather can make boarding a boat a challenge for even experienced crew. 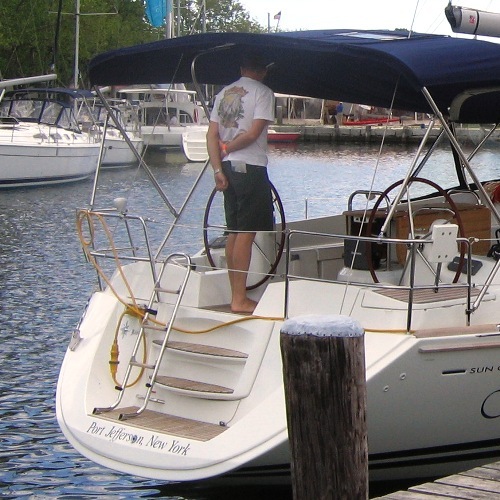 Did you know that something as simple as boarding or de-boarding a boat can lead to accidents? Matter of fact, several years ago this happened to me. 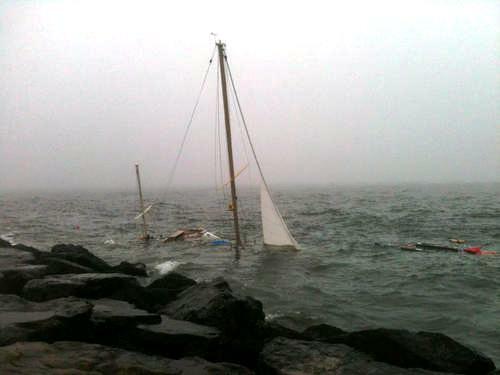 I had sailing gear in both hands, tried to board a sailboat one early morning, and slipped on the dew-soaked boat deck. There I was, hanging over the side like a human fender! Lucky for me, the skipper was there to help me aboard. 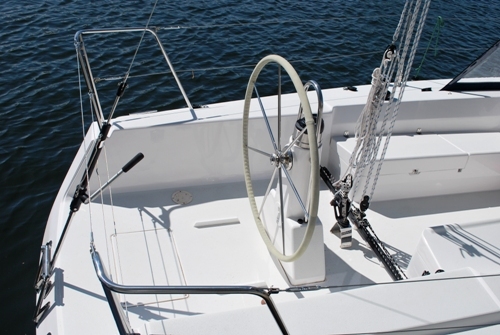 Before you board any boat—power or sail—look for the lowest area along the sheer line (the line from bow to stern where the hull and deck meet). Don't Panic, Just Go Find The Life Jackets! Where else would you wear a life jacket? Photo courtesy United States Coast Guard. Update 1: Daniel Deagler, writing for Philly.com, suggests in an article this morning (10/10/2011) that "Columbus Day remains at sea", and other than giving a three-day weekend to many, the holiday has little significance for most Americans. The piece points out that, among other things, "Columbus was an exceptional sailor." Update 2: The replicas of the Nina and the Pinta will stop at ports in Arkansas and Oklahoma starting later this month according to a brief story in an Indiana paper. Although most schools and government offices are closed for today’s federal holiday in the United States, there are many things about the day’s namesake that you may not have known. Christopher Columbus first went to sea when he was just 10 years old, according to Wikipedia. More interesting, however, are some of the tidbits we found in The Washington Post this morning. For example, did you know that Christopher Columbus never set foot in North America? It is also likely that he, and many others, knew that the world was not flat and that he would not fall off the edge of the earth. 7. This week's Fresh to Frightening features spectacular action from the 2008 Honda Formula 4-Stroke Powerboat Steam Packet GP in the Isle of Man. 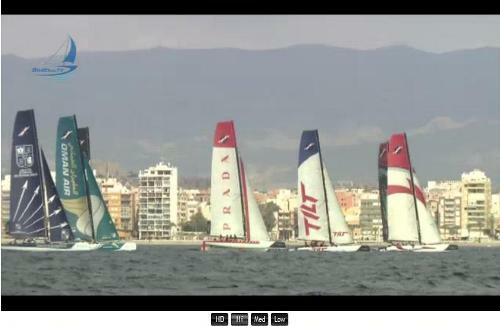 Boats racing towards the wrong buoy cut recklessly in front of the fleet to make the correct mark. Near catastrophe! View a large-screen version of World on Water on FirstBoat at FirstBoat.com/TV, or watch World on Water on the Daily Boater. Either way, the latest edition of the show is released each Friday. Stay tuned! Each week we write about all the weekend's upcoming boat shows and events so that if you can't get out on the water, at least you can still be around boats. Not too much going on this weekend, but the boat shows and events that are happening are either big or unique. Whether you are interested in sailboats, trawlers, or pumpkin boats, you'll want to check out this weekend's events. How can you keep your boat or sailing crew safe when working a docking line under high tension? Make sure you put these three golden safety rules into play aboard your small power or sailboat today! Nylon makes the ideal docking line because it can stretch like a rubber band. 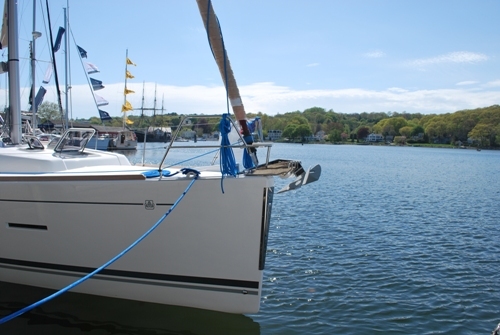 Your small power or sailboat moves about when moored in her slip, alongside a pier, or while anchored. Wind, current, tidal rise and fall, sea waves, swell, or passing boat wakes are always at work. And these dynamic forces cause your docking or anchor line to tension and slack again and again. Imagine that you stretch a big, thick rubber band to the breaking point. When it snaps, that rubber band has a ton of energy. Now, multiply that energy and picture a massive rubber band hundreds of times larger in motion. 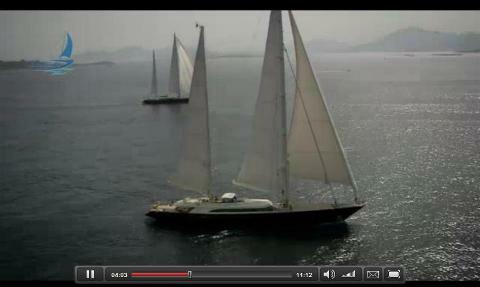 That’s just what will happen if a nylon docking or anchor line snaps. In the Coast Guard, we called this “snap back”. It could cause severe injury or death. When your boat runs aground and your passengers are just family and friends, it can sometimes be embarrassing. But when you are the captain of a boat owned by the Jamaican Prime Minister, and he is on the boat with his friends and family on the weekend of his son's wedding, you could be facing more than a little red in the face. Somebody is probably going to get fired. 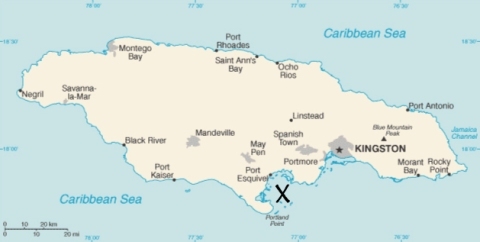 Hopefully Prime Minister Bruce Golding will have some compassion for whoever was piloting his yacht when it ran aground on Saturday off the south coast of Jamaica, especially considering that Mr. Golding himself will be out of a job soon having announced just last week that he would not seek re-election. Winter is coming and the weather is cooling in many parts of the world, especially here in New England where we are located. 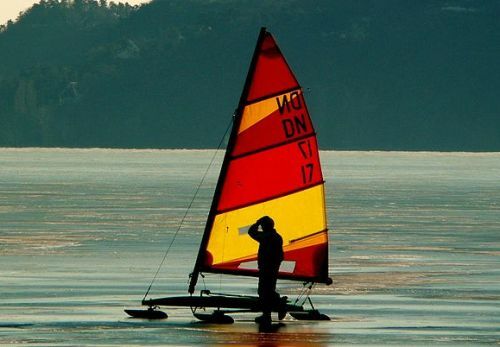 With that in mind, an article in yesterday's Portland Press Herald got our attention with a story about ice boating in Maine. Of course, ice boating is common in places like Maine, Michigan, Wisconsin and pretty much anywhere in Canada, but we thought we'd share this adventurous sport with the rest of the world. If you are not one of the lucky few who can boat in warm weather all year long, perhaps ice boating would be a fun alternative for you to get your boating fix in the winter. If boating on "hard water" is common in your neck of the woods, tell us about it on the Daily Boater facebook page.